During normal operating conditions, CPA’s hydraulic snubber allows a piping system which experiences displacement to maintain its required flexibility. However, when being acted upon by dynamic forces, the snubber locks into place thus protecting the piping system to which it is attached. No need for an external reservoir – the piston rod on either side of the piston means the hydraulic fluid volume does not change. Strong design – the piston rod is supported at both ends to avoid ‘knuckling’ and subsequent wear on the bearings. Small diameter – efficient design and no external reservoir results in a compact product. Enables the snubber to be installed in any orientation. Results in robust product with strong and reliable performance. Piston rod and main components of snubber are suitably treated to provide a high level of corrosion resistance. This avoids corrosion issues and wear of bearings which would occur if piston rod corroded. Sealing systems have been specially designed to ensure long working life without leakage. Hydraulic fluid specially selected for snubber operation. Compact design with pressurised built in hydraulic system. No external piping or reservoir. Requires minimal space envelope for installation. Rings of body of snubber, spaced at 10mm, provide an axial travel scale. Finish of non stainless steel parts is by hot zinc spray. This provides a better protection than galvanising or epoxy paint systems. Minimal lost motion in snubber performance achieved by design of seal system. 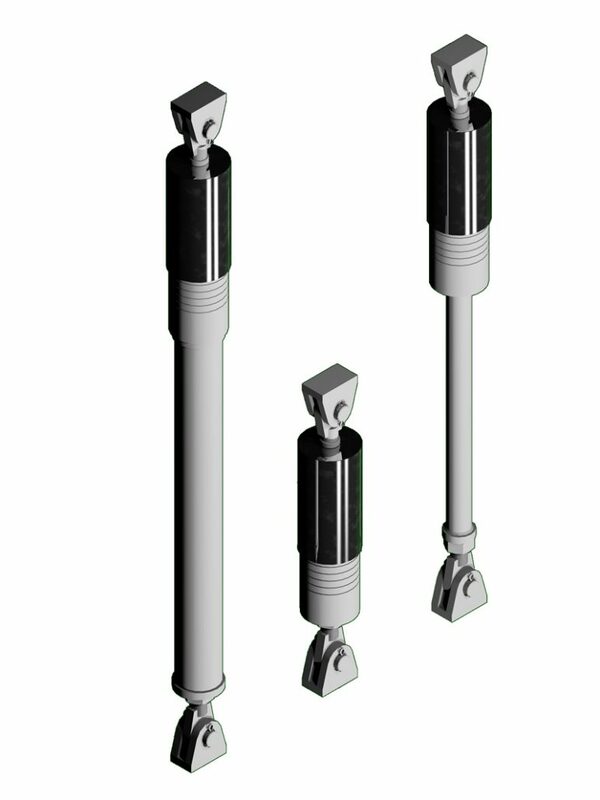 Rod end connections on snubbers allow + – 5-degree angulation. Extension pieces on CSA snubbers provide precise installed lengths required. Valves are critical to the performance of a snubber. CPA valves have been fine-tuned by continuous testing as well as by calculation. Standard lock up rate 3 to 5 mm/sec. Bleed rate 0.2 to 2mm/sec. Drag force less than 2% of rated load. All snubbers tested on our purpose built test rig and results tabulated as below. Full product information in relation to CPA hydraulic snubbers can be downloaded from our catalogue.